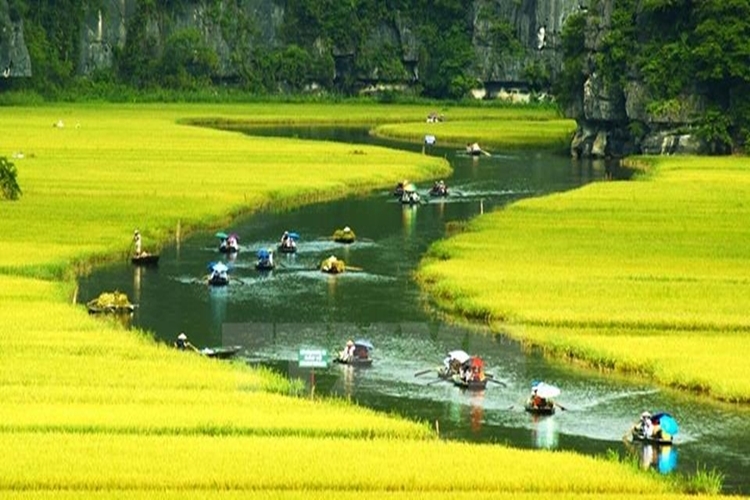 From 07:35am – 8:00 am: We pick you up at your hotel in Hanoi City Center or Hanoi Old Quarter Center and depart to Ninh Binh province. 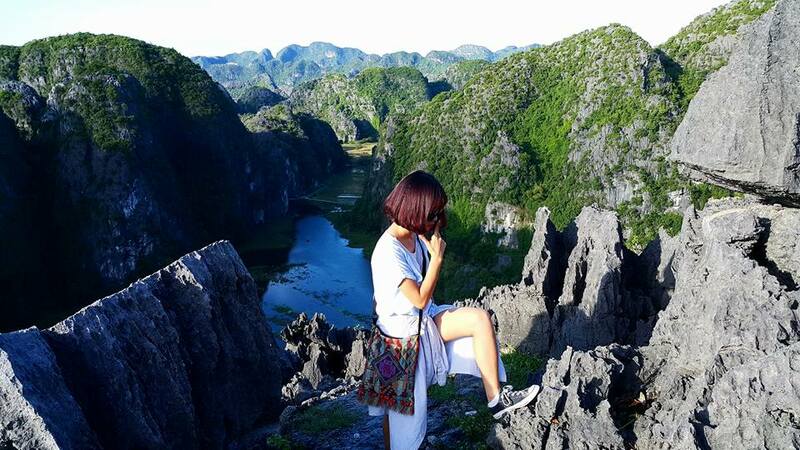 - 10:45 am: Arrive at Mua Cave where there isthe most beautiful place to view in Ninh Binh, which is considered as “miniature Great Wall” of Vietnam, hiking to the peak of Mua cave, you will see whole Tam Coc Landscape and Ninh Binh city. - 11:50 am: Go back to the car and move to our local restaurant to Enjoy Cooking Class making delicious fried spring rolls. Then you have lunch at our Local restaurant to try taste the famous mountain goat and others special delicious local Ninh Binh cuisine and then take a rest for 20 minutes before visiting next destination. - 1:00 pm: Join the boat trip in Tam Coc Cave area to see natural and amazing scenery of this landscape with 3 magical grottos: Hang Ca (First Grotto), Hang Hai (Second Grotto), Hang Ba (Third Grotto). Especially rowing boat through Ngo Dong River to see rice field is a awesome experience. - 06:40 pm to 07.00 pm: Arrive in Hanoi. We drop you off your hotel or anywhere you offer around the Hanoi Old Quarter. WHY YOU JOIN TAM COC MUA CAVE FULL DAY TOUR WITH US​ ?
" Booked a private tour to arrange Mua Cave, Trang An and Bai Dinh Pagoda on a day trip from Hanoi. 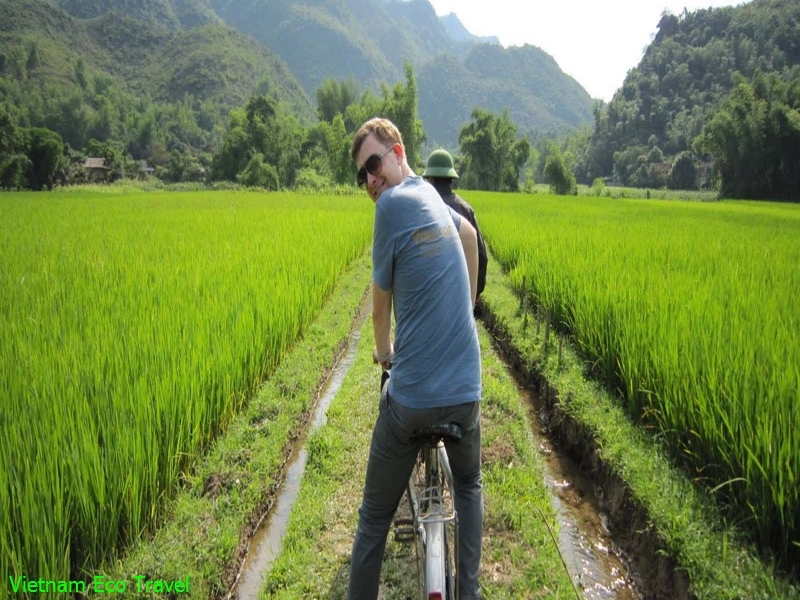 Besides the main places, they also brought us to a simple cooking class making delicious fried spring rolls, lunch where we tasted the famous mountain goat and also there was a bicycle tour to Bai Dinh which is one of the most picturesque postcard-like scene. Be sure to stop and take a ton of pics! " " It was a wonderful tour with Lisa. We had a safe driver who thankfully decided not to honk a lot like most Hanoi drivers considering that this tour started at 7am and ended around 6:30pm. We were thankful that this tour company rearranged the schedule due to weather so that we completed the Mua cave portion with over 500 steps in the morning while it was cool. I also appreciated that Lisa helped us get a cool straw hat and popsicles after that intense hike. The next portion included a cooking class where we made nem ran- fried spring rolls and then had an amazingly flavorful lunch with a lot of food for two people which included our spring rolls, stirfried goat with lemon grass, chicken, chayote. Then we went on a short bike ride to a temple, which was a different way of seeing the country side. Our favorite part was the boat ride on Trang An, where Lisa was a great translator for the boat ride. It was a beautiful sight! Then we went to some temples in Hoa Lu and learned about some Vietnamese history, which was also informative. 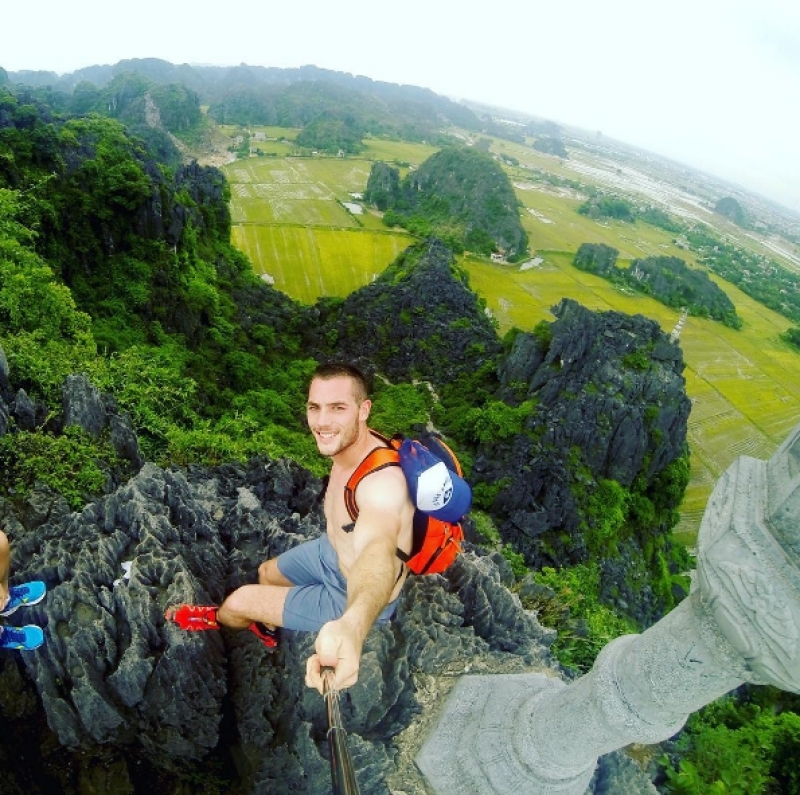 What do you think of Tam Coc Mua Cave Tour?